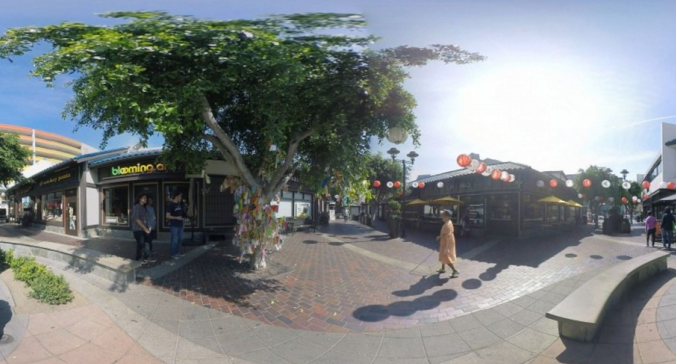 • FfF Interactive Little Tokyo on Friday and Saturday, April 22-23, from 7 to 10 p.m. at the Japanese American Cultural and Community Center, 244 S. San Pedro St. FORM follows FUNCTION and Visual Communications present a two-day immersive place-based exhibition. Reception on Saturday with beer and sake bar hosted by JACCC and music by dublab and Rani de Leon. “Walking with Grace,” a 360-degree virtual reality narrative documentary about Little Tokyo through the perspective of Grace Chikui, a blind woman and long-time resident, will be viewable on VR headsets via kiosk at various locations throughout the festival. “312 Azusa Street,” a historic site-specific installation about the church on Azusa Street that founded Pentecostalism in the nation in 1906 and Stevens African Methodist Episcopal Church (later known as First African Methodist Episcopal Church) in 1888, spearheaded by original landowner, Bridget “Biddy” Mason, on view at JACCC Plaza only. • “The Unbidden” (2016, 84 minutes), directed by Quentin Lee, on April 22 at 8:30 p.m. at the Aratani Theatre, 244 S. San Pedro St. (next to JACCC). Mystery novelist Lauren Lee (Tamlyn Tomita) is haunted by the ghost of a tortured, bloodied man. She tries to forget the apparition’s terrifying warnings and her unstable mental state by hosting dinner with her best friends (Julia Nickson, Elizabeth Sung, and Amy Hill). Each of her best friends has her own idea and opinion to make Lauren better. In the midst of a séance that Rachel believes will exorcise Lauren, a mysterious young man arrives brandishing a gun and announces that one of them is his mother. He holds the women hostage to get to the truth of the whereabouts of his missing father, Lauren’s husband. Even though the young man is stunned by his mother’s frank confession, there are brutal twists to the dark secret that he never imagined. He goes on an emotional journey through the four women’s past that reverses his perspective on vengeance. But forgiveness doesn’t come easily to those who’ve committed the ultimate betrayal as a decades-long mystery gets solved in an unexpected final reckoning. With the short “Carnal Orient” (2015, 9 minutes) by Mila Zuo. • “Persona Non Grata” (2015, 139 minutes), directed by Cellin Gluck, on April 23 at 3:30 p.m. at the Aratani Theatre, 244 S. San Pedro St. in Little Tokyo. This dramatic feature tells the story of Chiune Sugihara, a Japanese diplomat who issued over 2,000 visas to Jewish refugees in Kaunas, Lithuania, saving the lives of over 6,000 people. He came face to face with the plight of the European Jews as they tried to escape the onslaught of the Nazi’s rapidly advancing German army. 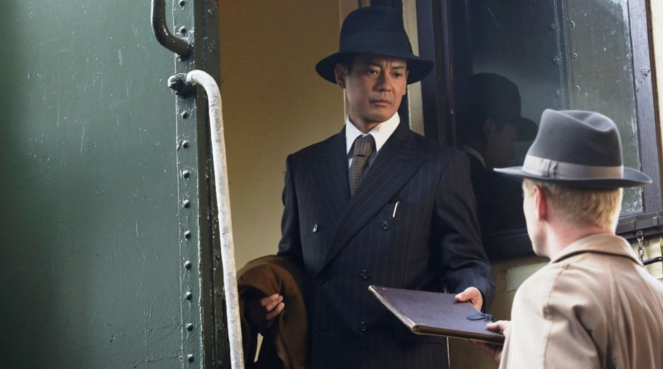 Following Sugihara’s life from his early days in Manchuria, “Persona Non Grata” captures the internal conflicts of a man caught between the unbending policies of his country, now bound by treaty with Nazi Germany, and his awakening moral responsibilities which, many years later, would brand him a hero. • “The Great Sasuke” (2015, 70 minutes), directed by Mikiko Sasaki, on April 23 at 7 p.m. and April 25 at 4:30 p.m. at the Japanese American National Museum, 100 N. Central Ave. in Little Tokyo. This film chronicles one life-changing year in the career of a regional Japanese wrestler and local politician known as The Great Sasuke, who describes wrestling as his tenshoku, a lifework assigned by God, and considers himself an entertainer and a public servant. Set in the suburb of Morioka City in northern Japan, his story begins when Sasuke, now in his 40s, marks his 20th anniversary as a wrestler. 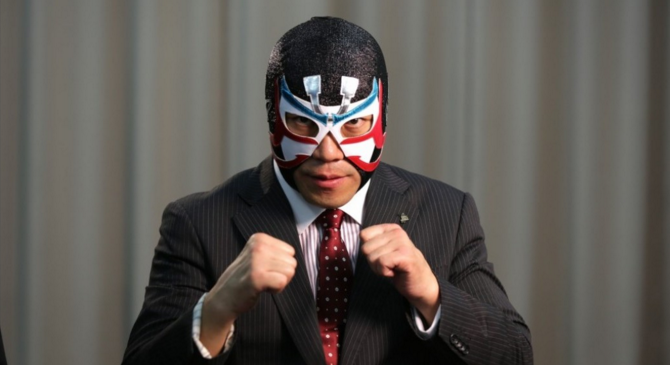 Despite dwindling attendance at his performances and declining health, he faces his adversity by climbing back into the wrestling and political arena for a final battle royale. • “Rebel with a Cause: The Life of Aiko Herzig Yoshinaga” (2016, 82 minutes), directed by Janice Tanaka, on April 24 at 1 p.m. at the Downtown Independent, 251 S. Main St., and April 26 at 4:30 p.m. at JANM. The latest documentary feature by prolific Visual Communications alum Tanaka chronicles the life of Aiko Herzig Yoshinaga, who played a crucial role in the redress movement, and her discovery of premeditated governmental misconduct during the war. 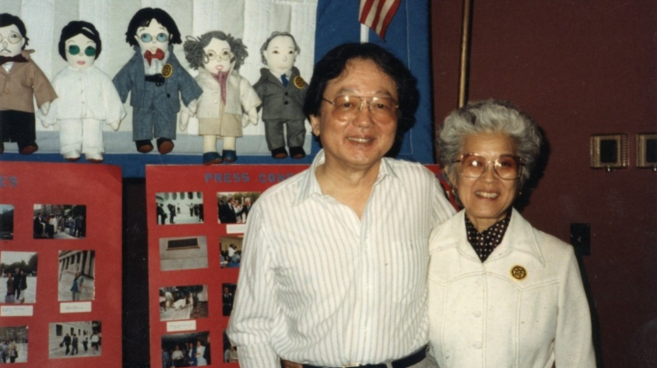 In the 1980s, her findings provided evidence that was essential to the landmark coram nobis cases of Gordon Hirabayashi, Fred Korematsu, and Minoru Yasui; and the National Council for Japanese American Redress (NCJAR) class-action lawsuit. Anchored by the unique friendship between Yoshinaga and the director’s mother, the film offers an intimate portrait of an unassuming woman and her impact on a national movement. Recently, Tanaka was contracted to produce and direct several documentaries for Nitto Films, including “Right of Passage,” the first comprehensive film about Japanese American redress, “Act of Faith,” the story of a Baptist minister in Seattle who dedicated his life to serving Japanese Americans, and “Rebel with a Cause.” Her award-winning film “When You’re Smiling: The Deadly Legacy of Internment” connected a rash of suicides in the Japanese American community in the ’70s to the incarceration experience. “Silence Broken” includes re-enactments of former comfort women’s stories. 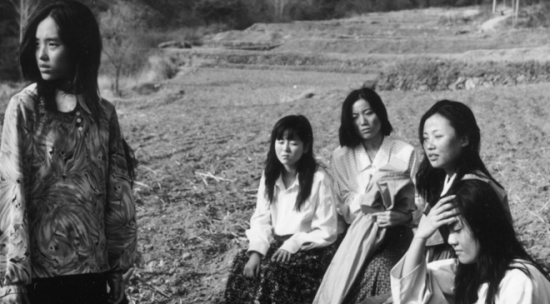 • “Silence Broken: Korean Comfort Women” (1999, 88 minutes), directed by Dai Sil Kim-Gibson, on April 27 at 4:30 p.m. at JANM. Coerced into performing sexual services for Japanese soldiers on various warfronts from China, Taiwan, and parts of Southeast Asia, young adolescent girls from age 12 to 15 were tricked into “volunteering” to serve the war effort through the pretense of factory employment. In droves, they were shipped off to foreign lands where they were immediately thrown into the clutches of men no less traumatized by violence but indoctrinated into its culture. Kim-Gibson presents her case for the irrefutable existence of these Korean comfort women’s forced conscription through her assemblage of various elements: invaluable, highly intimate interviews with survivors, former Japanese soldiers and young contemporary Japanese; contextual, historical archival footage; re-enactment vignettes based on these women’s personal accounts; and interviews with Japanese academics who support or, in most cases, deny this sordid historical chapter. Capturing in close-up these women’s emotions and words, Kim-Gibson creates key oral histories and provides a vital outlet for these victims to tell their stories after years of neglect and silence. • “Zen and Bones” (2016, 123 minutes), directed by Takayuki Nakamura, on April 27 at 6:30 p.m. at the Downtown Independent, 251 S. Main St. Born 1918 in Yokohama to an American father, Henry Mittwer immigrated to the U.S. at the age 22 and was detained as a U.S. citizen in an internment camp at the start of World War II. 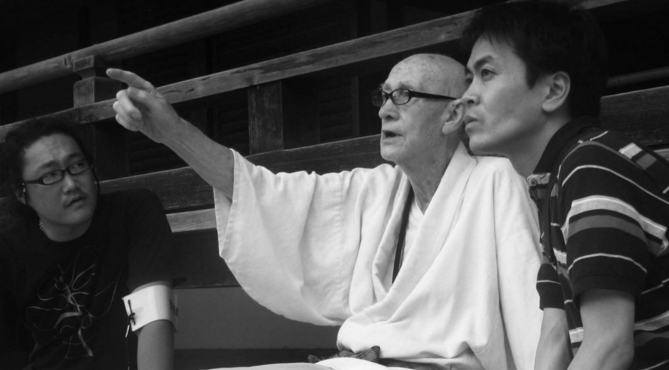 He returned to Japan in 1961 and became a Zen Buddhist priest in Kyoto. After he falls ill in 2012, a documentary crew helps him in his greatest passion and dream, to make a film. With Henry unconscious, the team continues to film, uncovering evidence and gathering testimonies about his extraordinary past from movie moguls, U.S. government files, and Zen masters. “Just when filmmaking seemed to be a dead end for me, I met Henry Mittwer,” said Nakamura. “A Zen priest of a seasoned age, a total amateur in the field, and yet for over a decade he had been seriously campaigning to make a film. The purity of his drive and passion to make that film happen resonated with my own situation. I was inspired to challenge myself and my own commitment. I started filming him, without a penny to the project. Eight months later, he was hospitalized and was traversing the brink of his life’s end. He murmured to me, ‘Please film my funeral.’ There was no turning back. For a complete schedule, visit http://festival.vconline.org. To buy tickets online, go to http://laapff.festpro.com/schedule/. Tickets can also be purchased at the screening venues. For group orders, call (213) 680-4462, ext. 59.